Delhi is an important stop-over for tourists before they can move to other popular tourist spots. There are many hill stations located around Delhi and have great transport connectivity to the capital city of Delhi as well. So if you have a mind to visit any of these hill stations, visiting Delhi first is quite indispensable. Read on to learn more in details about the hill stations around Delhi. When the British made Delhi their capital, the sweltering heat in summer simply became unbearable and led to their developing hill resorts around Delhi. Their legacy survives and undoubtedly, the most famous of them all is Shimla, the queen of hill stations and their summer capital. Shimla still has remnants of British culture to remind us of the colonial past. That is not the only hill resort around Delhi. There are dozens, some very popular and some not so well known; some close by and some at a distance, but each a pearl in its own way. So take your pick. Go west to Himachal and it is a veritable paradise. Shimla, Kasauli and Manali are inarguably the most famous with Dalhousie, Kufri and Dharamshala equally popular. Then there are other less popular resorts such as Solan, Renukaji, Kandaghat and Chail. Go North to Kashmir and you have the ever-popular Yousmarg, Sonamarg and Gulmarg with Srinagar a city resort you can enjoy just as much as the more remote hill stations. 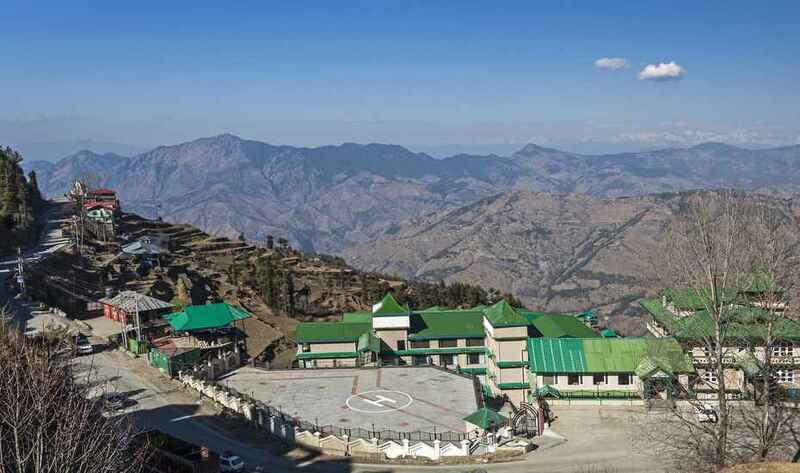 Go North-East to Uttaranchal and here you have some lovely resorts of which Nainital, Kausani and Mussoorie are undoubtedly the most beloved of tourists. 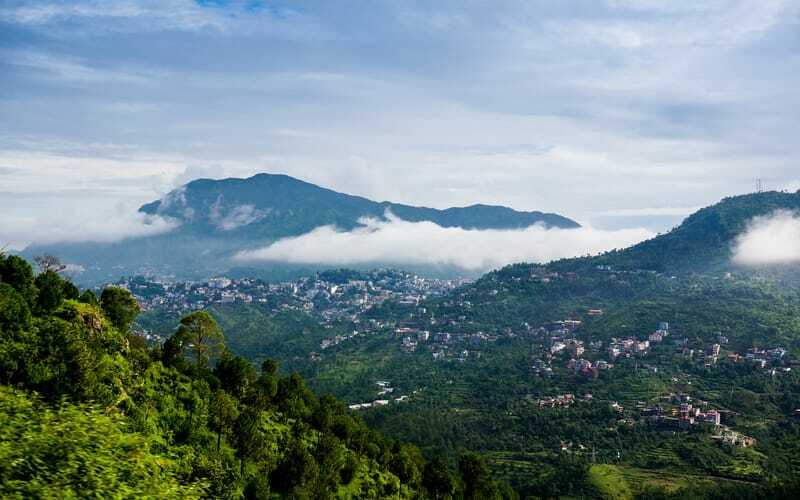 Then there are others such as Ranikhet, Kanatal, Binsar, Chamba, Ramgarh and Auli to keep you enchanted and cool during sweltering summer months. Haryana has Morni and Rajasthan to the South West has Mount Abu but this is at quite a distance. Your best bet would be to choose popular resorts located closer to Delhi. People rush off to well-known spots but these can be crowded. Why not choose not-so-well-known spots for some peace and quiet? One such resort is Kangojodi, a pristine, unspoilt place where you can enjoy solitude. Everyone rushes off to Kullu but Tirthan in the same valley is about a day’s drive from Delhi and is more beautiful and enchanting. Not many have heard of Churwadhar, about 90 Km from Simla but it is off the beaten track and lets you commune with Mother Nature. Just as isolated is Chindi near Solan where you can lose yourself in the tranquility and recharge your batteries. Mandi is on the road to Manali and is a hidden sanctuary next to Prashar Lake. About 500 kms from Delhi, this charming resort is in Uttarakhand and its pride is the longest cable car that takes you on a 4 kilometer journey giving an enchanting view of the lovely terrain. You can go skiing or spend time by the world’s highest artificial lake. To the West of Delhi in Himachal Pradesh you will find Palampur, about 494 kilometers from Delhi. It is Nature at its unspoilt best with pine forests and streams gamboling playfully along the countryside. Visit Mata Bandla Devi temple and the village of Andretta while you are here. This endearing retreat is only 394 kilometers from Delhi, famous for its forests of pine and a lovely view of the Himalayas. You may want to explore the tea gardens of the Baijnath temples or simply lose yourself in the beauties of nature. Not so well known as Shimla but a beautiful spot about 380 km from Delhi. Kufri is home to the Himalayan Wild Life Zoo and also lets you enjoy skiing in season. You can ride a Yak or go trekking. It is as yet unspoilt and lovely beyond words. Like Kufri, Chail, about 350 km from Delhi, is overshadowed by Shimla but has a distinct personality with the Chail Sanctuary in the vicinity. Most of all it is as yet unspoilt and is relatively calmer for a soul refreshing sojourn. You may not have heard of this reclusive retreat about 260 km from Delhi, located in the Shivaliks but it is picturesque and quiet, perfect for a soliloquy with nature. It is the nearest to Delhi and is a charming resort town that will win your heart. 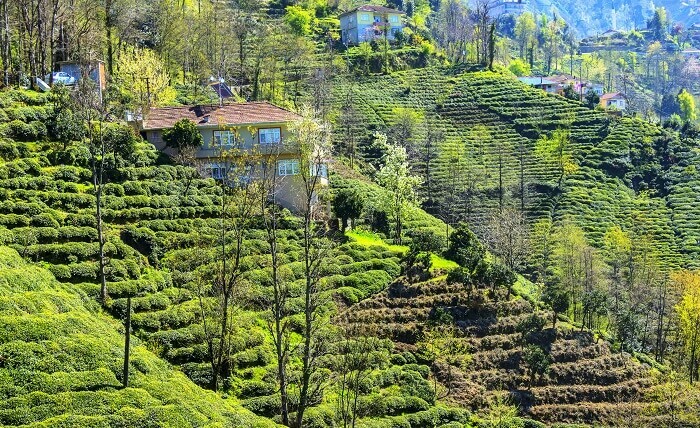 If you love greenery, then it is Mukteshwar that will enchant you with its verdant scenery. About 330 Km from Delhi, Mukteshwar is close to Nainital and has green deodar forests as well as a wonderful view of the Himalayas. This tiny hill hamlet in Solan district is only 295 km from Delhi and is cool rather than cold. Once you visit it, you will fall in love with this place and enjoy its marvelous serenity. You can visit the Baptist Church, Manki Point and Kasauli Brewery to pass the time or just walk on the gentle slopes. About 284 km from Delhi, Mussoorie is elegant, charming and enticing, bearing traces of a colonial past. It has a dreamy ambience unlike any other resort. The landscape is varied and has its own points of interest highlighted by the quaint and attractive houses dotting the slopes. You could take a trip to Kempty Falls, Mussoorie Lake, Jharipani Falls, Sir George Everest’s House and Gun Hill while you are here. Mussoorie grows on you and you will want to tarry here awhile. 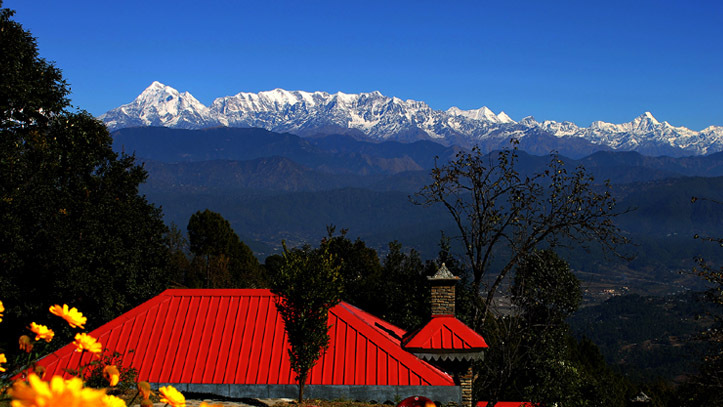 Not many choose Ranikhet when they have options of Mussoorie, Dalhousie, Nainital and other famous resorts. Located about 279 km from Delhi in Almora district of Uttarakhand, Ranikhet is a medium sized town at an altitude of about 1870 metres. Places worthy a visit in the vicinity are the Army Museum, Ram Mandir and Chaubatia Gardens. Wander off and you can come across a variety of animals in the forests lining the slopes. Nainital is a resort town about 276 km from Delhi and the automatic choice of most people when they think of visiting a hill station. The weather is cool and visitors can have an enjoyable stay here, sauntering alongside Nainital Lake or taking side trips to the Naina Devi Temple, Naini Peak, Tiffin Top and Gurney House. Only those who value peace and quiet will know the worth of Kanatal, about 300 km from Delhi. The view is marvelous and you feel as if you have the world all to yourself. Take time off to visit Kodia Jungle and the Tehri Dam while here. Lansdowne is located in Pauri Garhwal district of Uttarakhand, about 270 km from Delhi. What strikes you about Lansdowne is the presence of military. However, that is no damper to the lush scenery it presents and the somewhat laid back air it has. You could spend days doing nothing and still not feel bored. You can just as well go trekking, boating or bird watching. Take some time off to visit Tip n Top, the Regimental Museum, Bhim Pakora and the Tarkeshwar Mahadev Temple. If you time your visit for the Autumn Festival the resort takes on a festive air and you will enjoy your trip all the more. With so many hill stations accessible so easily from Delhi, you could well ask yourself before you decide as to what exactly you want from this trip. Do you want a lovely time? Visit some of the well-known resorts. Do you want some peace and solitude? Pick resorts off the beaten track. You can always find accommodation to suit your taste and dining on local street food is always an adventure. As for transportation, there are plenty of buses that will take you to Delhi or you can join a tour or hire a private cab. On a Friday evening close your eyes, move the mouse on the map at random and click to select at random. Pack your bags and set off for a weekend of sheer delight.